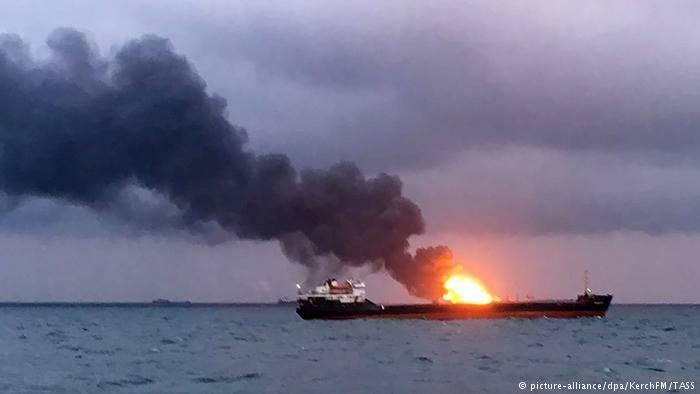 On January 14, the 90 meter long self-propelled barge Isabel caught fire after an explosion while berthed at Dordrecht, Netherlands. 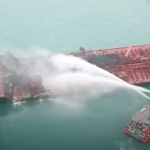 The vessel was to undergo an inspection when an explosion occurred in a technical space resulting in a fire. The local fire brigade was alerted and were able to quickly bring the fire under control. No reports of injuries. 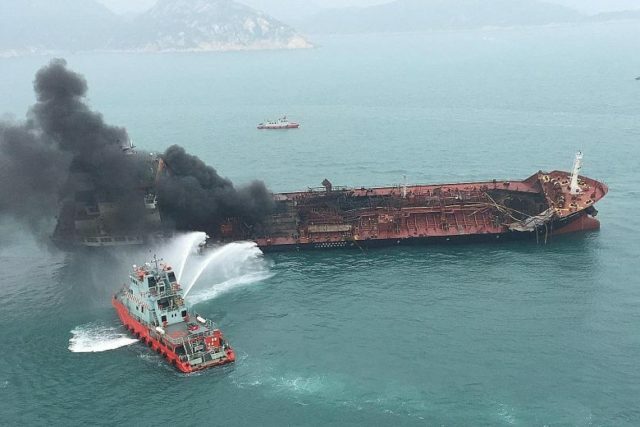 On January 8, the 144 meter long, 17542 dwt tanker Aulac Fortune exploded and caught fire off Lamma Island near Hong Kong, China. The Aulac Fortune had arrived from Guangdong where it had unloaded a cargo of petrol. 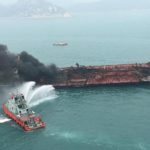 The tanker was off the shore of Lamma Island being refueled by an oil barge when there was a series of explosions onboard. 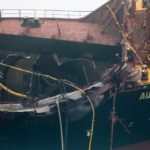 The explosions had blown off several cargo hatches and ripped open part of the main deck. Fires and dense black smoke spilled out of the holds. 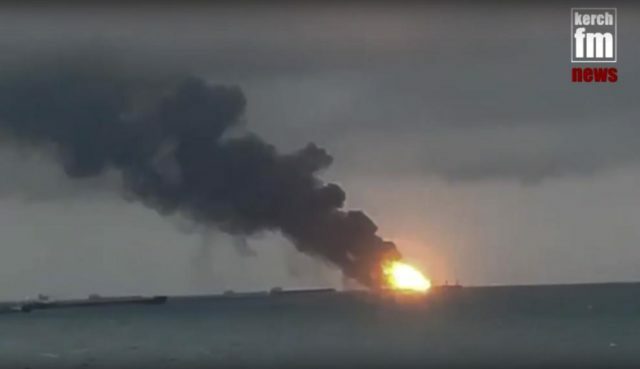 One crewman was instantly killed in the blast. Twenty-three crew abandoned ship and were later rescued from the water. 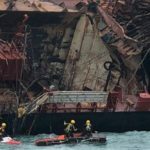 Two crew were reported as missing. 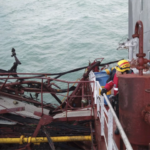 Four crew were injured in the explosion and were taken to hospital for treatment. Authorities dispatched 3 fireboats, helicopters and patrol vessels to the scene. 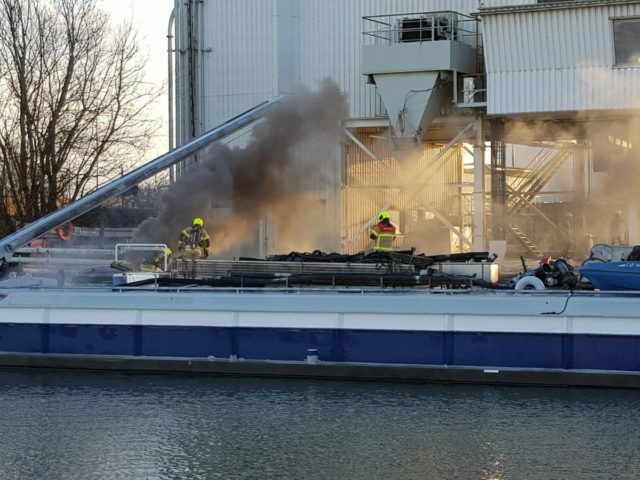 The fireboats were able to bring the blaze under control using foam, but it will take several days before the hull has cooled sufficiently. The Aulac Fortune developed a significant 30 degree list, but remains afloat. Authorities have launched an investigation and a search and rescue operation for the missing crew. Authorities dispatched divers and rescue crews to the Aulac Fortune. Divers inspected several tanks which were filled with a mixture of water and petroleum. Rescuers combed through the jagged wreckage. 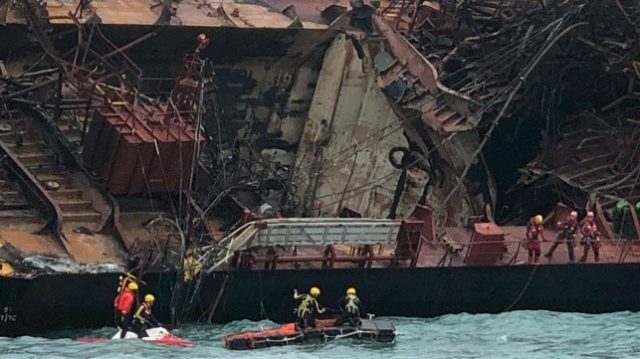 Reports state a body of one crew was found on board and the other missing crew was found near the shoreline of Lantau Island. 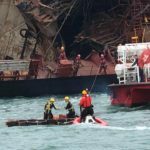 The Aulac Fortune is to be towed away from the anchorage off Hong Kong. No details if the tanker is to be repaired or scrapped.